A map and compass are essential tools for navigation on any hiking trip regardless of our familiarity with a trail or the duration of the trip. Yet on many trips, the map rarely, if ever, sees daylight thanks to the aid of helpful route markers, or trail blazes – a smear of paint on a tree, perhaps, or a wooden sign pointing out the right direction. Regrettably, there are many sections of the Continental Divide National Scenic Trail (CDT) where navigating by following blazes and signs is impossible. The trail, which runs 3,100 miles from Canada to Mexico along the spine of the Rocky Mountains, is completely unmarked in some sections. In others, blown-down trees and bleaching from the sun have damaged the existing blazes, making them difficult to spot. While the CDT has been marked in a variety of ways throughout its history, its entire length has never been completely and consistently signed. 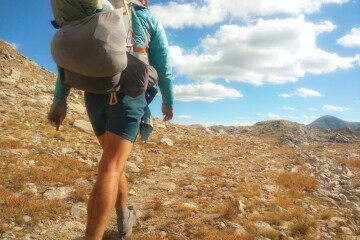 This year, in honor of the CDT’s 40th anniversary, the Continental Divide Trail Coalition (CDTC) is trying to change that. To that end, the CDTC is mobilizing volunteers from Montana to New Mexico to help “Blaze the CDT” by surveying current conditions and installing thousands of signs along approximately 750 miles of trail. These volunteers, or “blazers” as they’ve come to be known, include thru-hikers and day hikers, experienced trail maintainers and those who have no idea what a Pulaski is, corporate groups and groups of friends. They’re spreading out along the CDT this summer and fall, with signs and hammers in their packs, to leave their mark on an important conservation legacy. Thanks to efforts by the U.S. Forest Service, the Bureau of Land Management, Montana Conservation Corps and volunteer trail adopters, many of the hard-to-access and hard-to-blaze areas have already been signed in Montana. In 2017, many confusing intersections along the Montana/Idaho border were signed, getting the CDTC that much closer to its goal of blazing the trail. 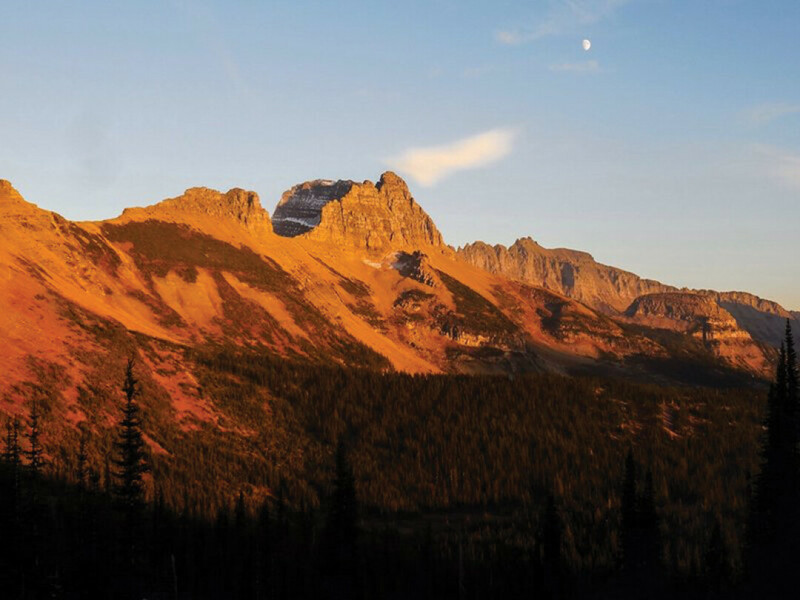 In honor of the 40th anniversary, the organization is coordinating adventurous and passionate hikers to assess the last remaining sections in Montana. Volunteers assisting CDTC in the Bob will view some of these remote locations and may even knock the amazing Chinese Wall off of their bucket lists. 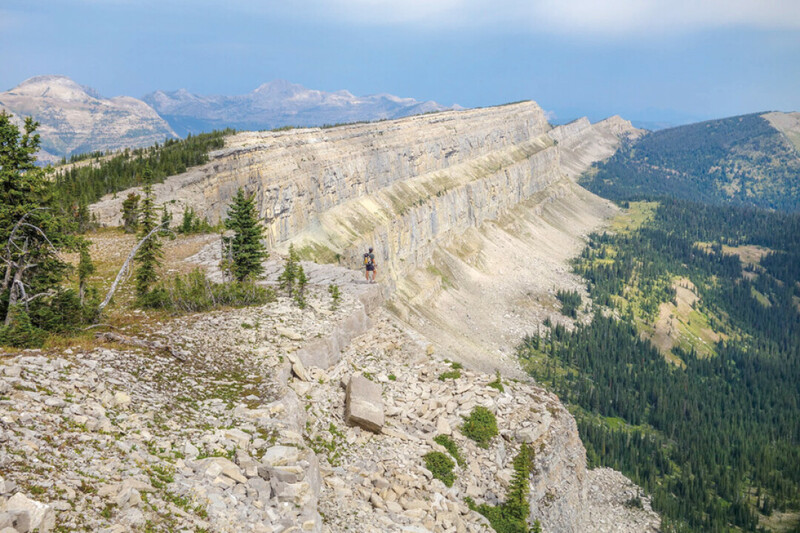 This infamous limestone spine looms above the CDT for a 5 mile section and runs 22 miles through the Bob Marshall Wilderness while averaging 1,000 feet in height. No matter what section they have chosen, they’re guaranteed a truly wild experience, as it is the longest stretch of the Continental Divide Trail that never touches a road. Blaze the CDT is an important piece of this partnership, although it extends only through 2018. The long-term protection of the trail relies on CDTC’s Trail Adopter program, through which volunteers “adopt” a section of trail as their own. Adopters commit to survey their section of the CDT at least twice a year, perform light trail maintenance, and update CDTC on the trail conditions. This way, they serve as critical eyes on the trail for Forest Service staff, who are often overseeing millions of acres of land and don’t have time to inspect every area with such frequency to determine where maintenance is needed. In Montana, partner groups like the Bob Marshall Wilderness Foundation and the Montana Mountain Bike Alliance have already adopted large sections of the trail, yet many miles are still in need of adoption. Anyone interested in adopting a trail section, regardless of trail maintenance experience, is invited to attend a free training in Helena on August 11. Participants will learn basic trail assessment, maintenance and construction techniques in a combined classroom and field setting. Alternatively, for those who would like to help protect the CDT but can’t make a long-term commitment to adopting a trail section, CDTC is hosting a volunteer project at MacDonald Pass from August 13-15 in order to rehabilitate an area along the CDT that was subject to severe flooding. More information about all of these opportunities can be found at continentaldividetrail.org/volunteer. In addition to hosting the 40th anniversary of the CDT, 2018 is an exciting year for all of America’s trails. It marks the 50th anniversary of the passage of the National Trails System Act, which established a system of National Scenic, Historic, and Recreation trails. Today, this system includes over 81,000 miles of trails – almost double the mileage of the interstate highway system. 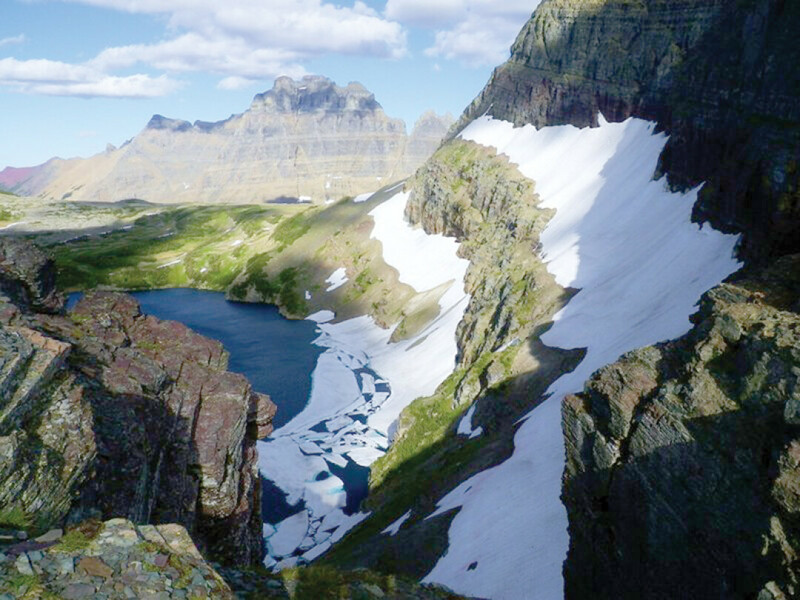 The CDT is known as the most rugged, the most remote, and the most difficult of the National Scenic Trails. Thru-hikers like to say that the unofficial motto of the CDT is to “embrace the brutality,” and it is true that, in its entirety, the CDT is not a trail for the inexperienced or the faint of heart. Those who set out to hike all 3,100 miles will encounter everything from long stretches without water to 14,000-foot peaks that are rarely without snow. But there are portions of the trail that are perfect for any and every hiker. In each of the five states that the trail passes through, there are family-friendly day hikes, arrestingly beautiful weekend backpack trips, and challenging high elevation traverses. Through efforts like Blaze the CDT, CDTC hopes to widen the community of people who embrace the trail as a national treasure. Chris Nesset is your typical Bozeman outdoorswoman, trail lover and Board Member of the Continental Divide Trail Coalition.